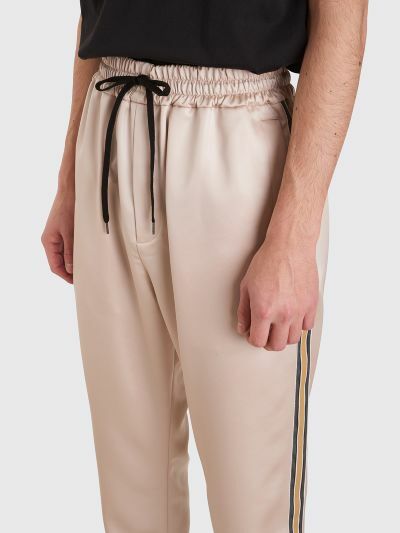 Track pants from CMMN SWDN made from Japanese satin with contrasting ribbons on the sides. Elasticated waistband with drawstrings, jetted pockets on the front and back. 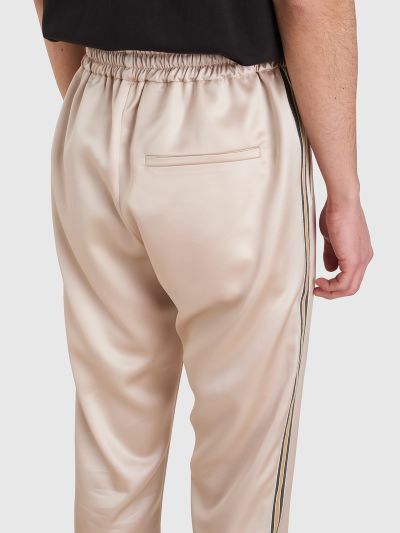 Beige pants with green, white and black side stripes. 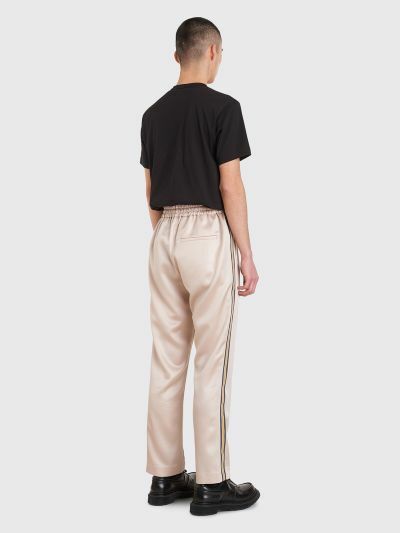 Made from 64% triacetate and 36% polyester. 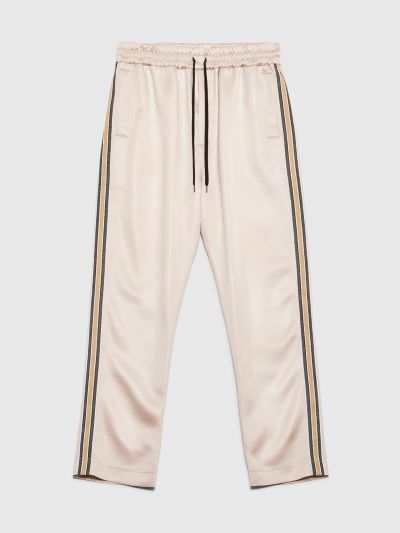 Loose fit track pants with elasticated waist and drawstrings. 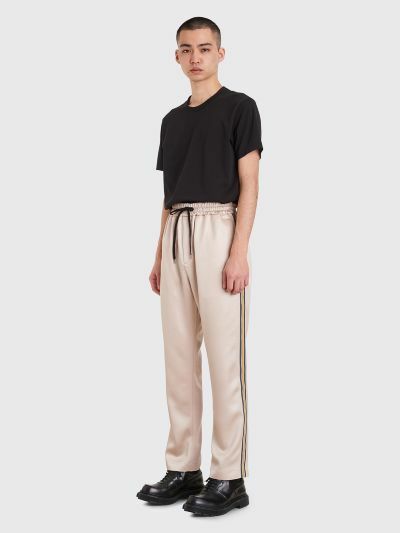 Model is 184 centimeters and wears size 46.